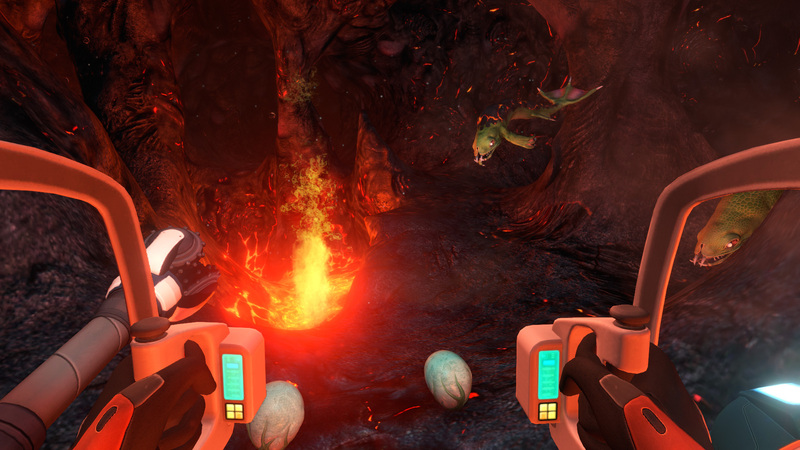 You have crash-landed on an alien ocean world, and the only way to go is down. 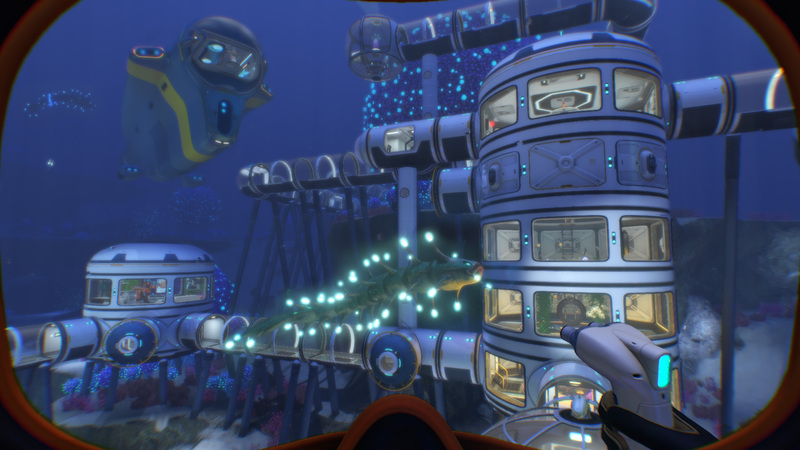 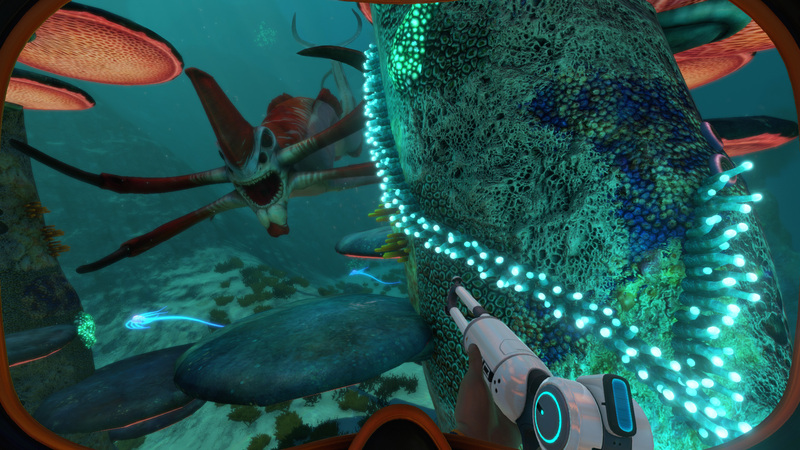 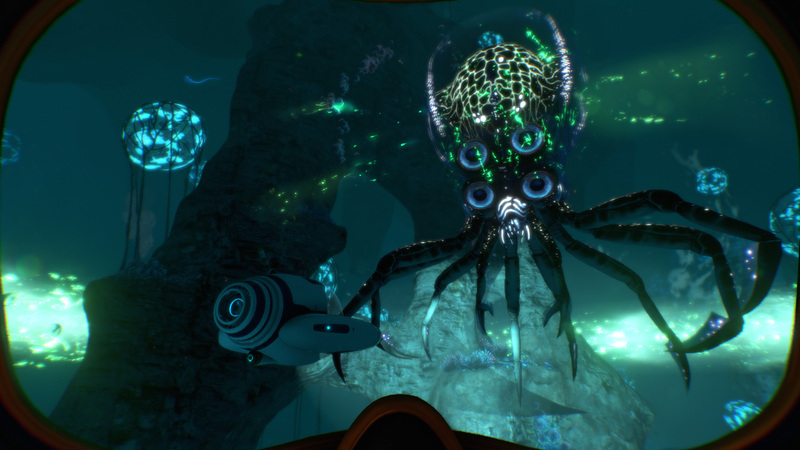 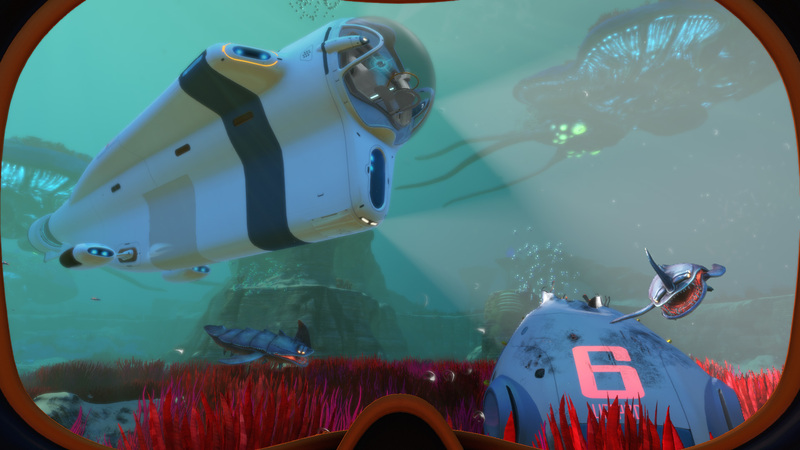 Subnautica&apos;s oceans range from sun drenched shallow coral reefs to treacherous deep-sea trenches, lava fields, and bio-luminescent underwater rivers. 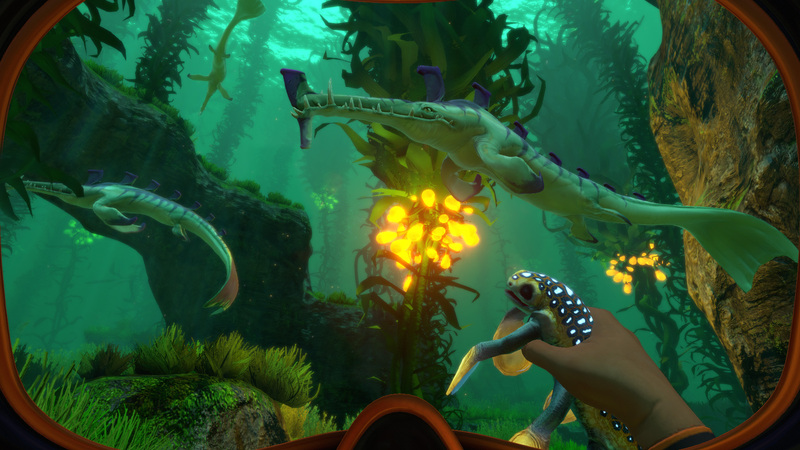 Manage your oxygen supply as you explore kelp forests, plateaus, reefs, and winding cave systems. 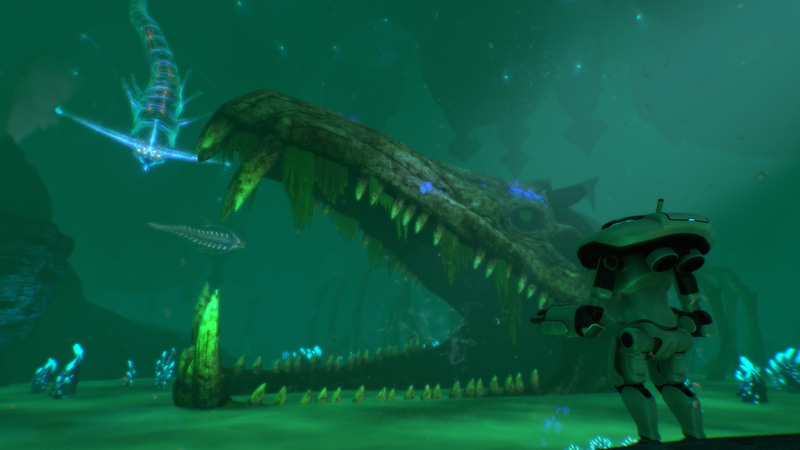 The water teems with life: Some of it helpful, much of it harmful. 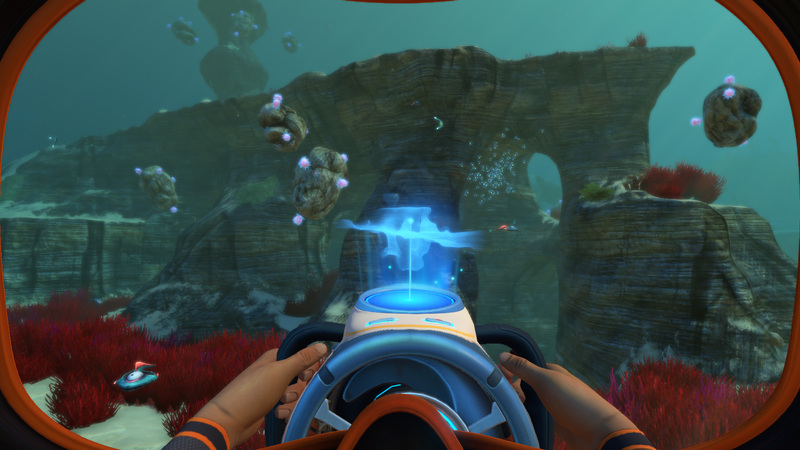 Copyright © 2018 Unknown Worlds Entertainment, Inc.
Subnautica is developed by Unknown Worlds Entertainment, Inc. and Panic Button, LLC.